Our state of the art practice is dedicated to maintaining the overall health of your family’s eyes. We take the time to provide our patients with a clear understanding of their eye condition and the latest treatment options available. We provide a comfortable and professional atmosphere to discuss all your vision and eye care needs. Our practice provides routine, comprehensive eye examinations for eyeglasses, contact lenses, and LASIK referrals. We work together with highly-reputable surgeons to co-manage cataracts, glaucoma, diabetes, dry eye, and macular degeneration. Dr. Reed welcomes new patients, previous patients, primary care referrals, and her patients from the Upper Valley to see her in her New London practice. She looks forward to providing an exceptional standard of eye care to your entire family. 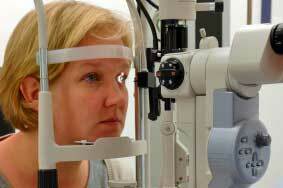 All your visual and optical needs will be professionally handled by the friendly and experienced staff.